Looking for the perfect gift for the artist in your family? 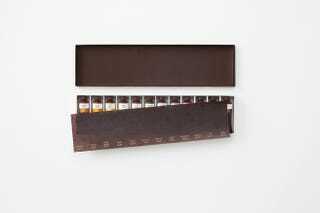 Look no further than this new paint kit designed by the Japanese product and furniture studio Nendo. Except it's not really a paint kit. Instead of foil, the tubes are made chocolate, and instead of being filled with paint, they're filled with yummy syrups.